Hi, I’m Kat and I’m one of the Co-Founders and team leads of Maine Ghost Hunters. 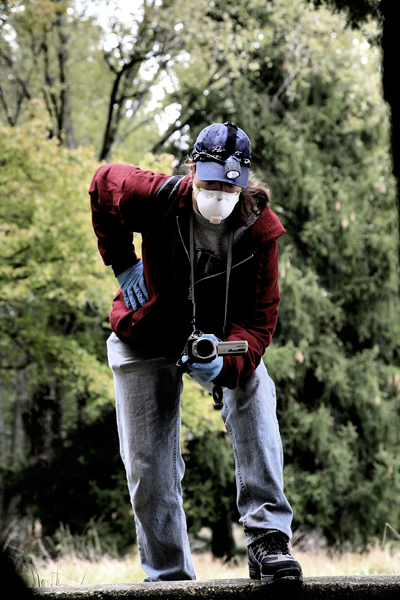 I’m also a lead investigator, videographer, photographer, meetup organizer, public speaker, and team website designer. I have a degree in Geology from the University of Maine at Farmington, and I’ve worked in the Gulf of Mexico on a couple of research vessels as a Field Geophysicist and a Geophysical Analyst. I’ve lived in quite a few haunted environments and have read too many non-fiction paranormal titles to count. I have a strong respect for MGH skeptic protocol and the evidence recovery process our team abides by. I also have a keen interest in the spiritual side of what we’re sometimes thrown into as a result of our investigations. My areas of expertise for the Maine Ghost Hunters organization come in the form of EVP and Audio review, and Videography – among many others. I’m the person who’s usually behind the camera, rather than in front of it. I edit the video and make it available for public viewing, presenting key portions of investigations or events we have taken part in. 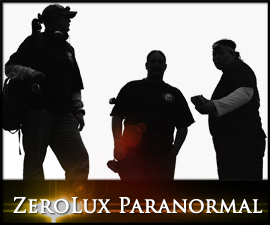 I’m also the team lead when it comes to the day to day operations regarding the Maine Ghost Hunters organization. You can find me on FaceBook under my personal user account, and I do a lot of status updates for our Maine Ghosthunters Facebook account as well. You can also find me tweeting pretty regularly with our MEghosthunters account on Twitter – although I am not the only one who does so. And last but not least, if you haven’t seen our YouTube Channel you might want to check it out. I’ve edited and uploaded a lot of video footage from our investigations, so that whole channel offers a pretty extensive introspective into what it’s like to be involved with an investigation.